The plastic is thick and sturdy and the sizes are as varied as boxes of cereal, so there’s a good chance you can find a bag that suits your storage needs. To prepare what’s been picked, rinse the vegetables thoroughly and let them sit in a colander for a bit. Then bounce the colander up and down, or shake bunches of leaves to drain excess water. At this point, don’t worry too much about draining. You’ll get another chance. 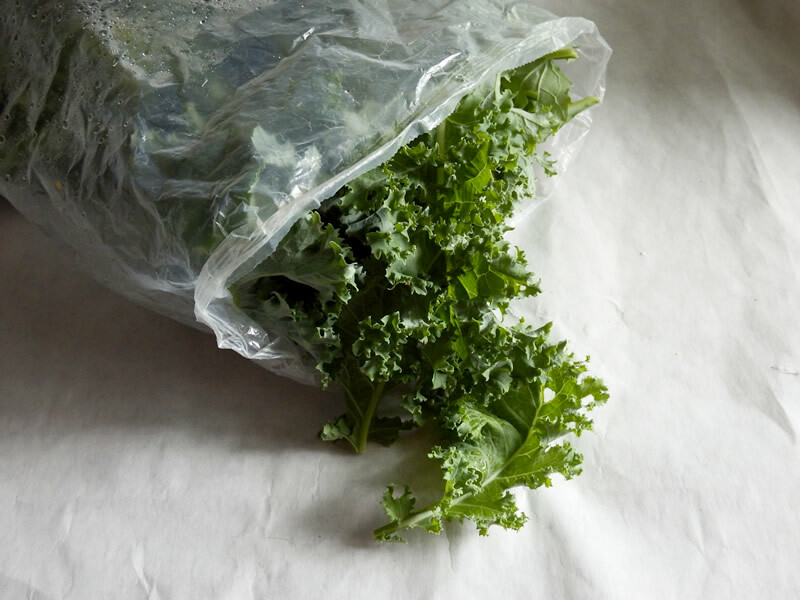 Pack the produce into the bag. Once it’s full, you can pinch part of the top about halfway across the opening (to keep the vegetables in), and tip the bottom up, to drain more water that has pooled. 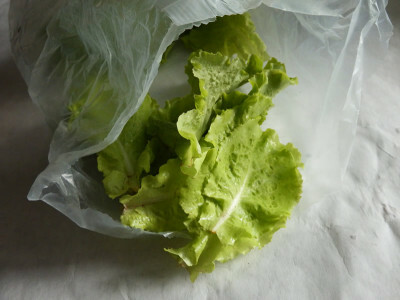 The fruit or vegetables I’ve stored in these bags has seemed to last longer with some moisture in the bag. The only exception I can think of would be tomatoes, but I use recycled plastic tomato baskets (from winter store-bought tomatoes… boo!) for those. If you’ve ever had ripe tomatoes on the vine and looked at them after a rainfall, you’ll know that excess water tends to make them swell and burst. I wipe them after rinsing and pat them down with a paper towel. I’ve found that closing the bag loosely seems to extend the life of what’s inside. The tightest security I use is a small chip clip, but most often I just roll or fold the top and let it stay that way. 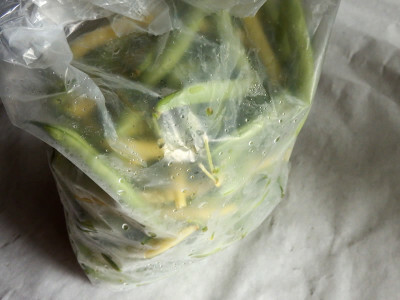 For something like beans, which are such a tasty grab-able snack, I just leave the bag open in the refrigerator. They don’t last long enough to go bad!